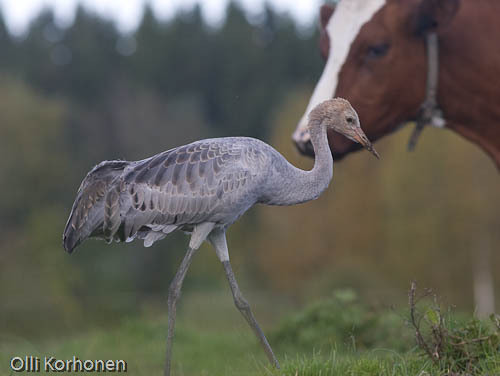 Olli Korhonen | Ever seen a Crane that took itself for a cow? 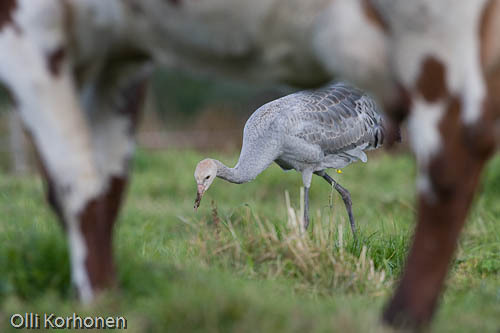 This is all we know about this young crane: For unknown reason it had been separated very young from its family in early July when it appeared among the grazing cattle for the first time. 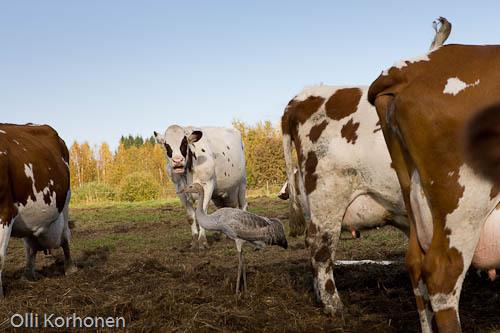 From that time on the bird spent most of its days with the cows. 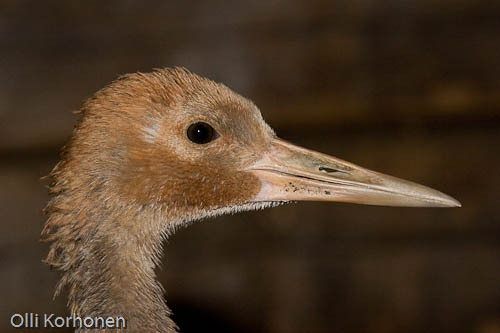 Very often even sleeping next to a cow which was to deliver a calf in autumn. 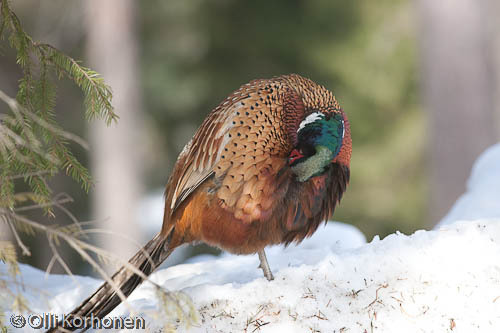 Not to mention that it occasionally joined the herd when they went to eat bailed hay brought by the farmer. 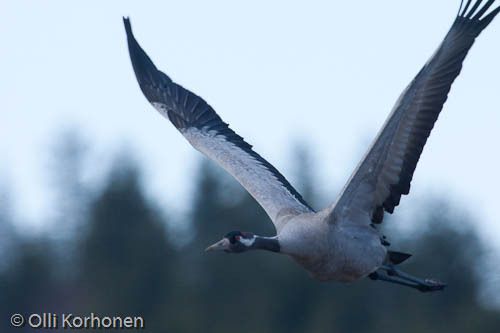 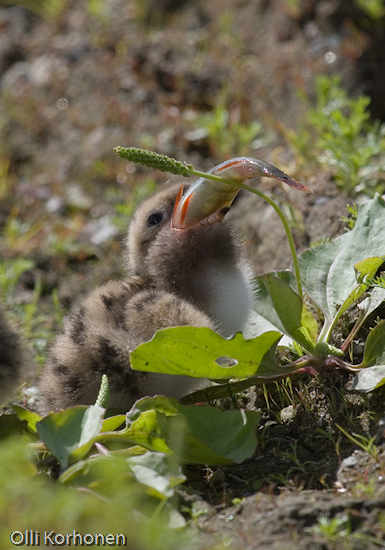 After I was informed about the fate of the poor little thing, I contacted two Finnish birders specialized in cranes. 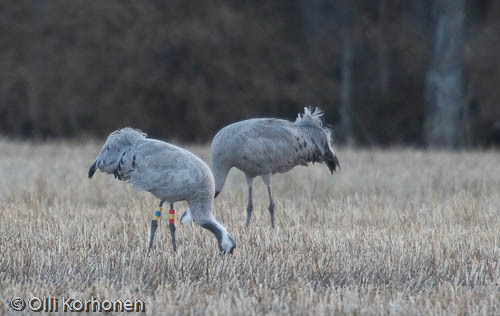 Some weeks later the crane was finally caught and it spent the following winter together with an adult crippled female crane on a farm in southern Finland. 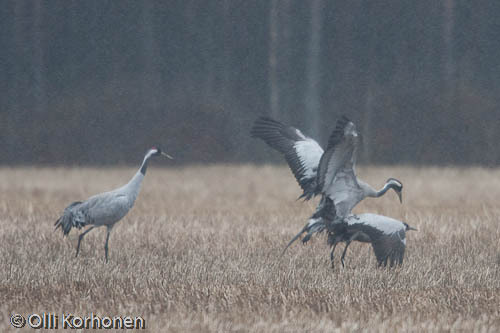 The next spring it was then freed, and it joined a flock of healthy young cranes just returned from migration. 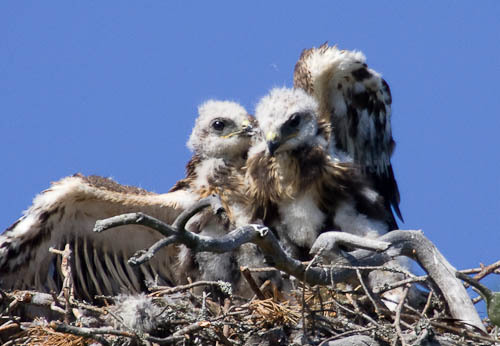 Well, that’s something you can call a happy end, isn’t it.